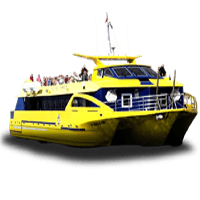 Come aboard and enjoy a unique experience on the Costa Brava. Nautilus: A unique journey to the bottom of the sea. 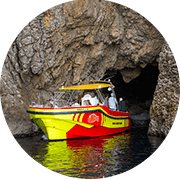 The Nautilus glass-bottom boats with underwater viewing are perfect to witness the magnificent flora and fauna of the Medes Islands Nature Reserve. 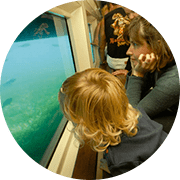 Explore the seabed without getting wet! The Corsari Negre: An authentic pirate adventure! Arrr! 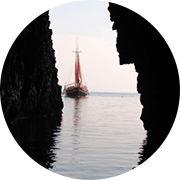 Come aboard an authentic pirate ship and visit the most iconic places on the Montgrí Coast, such as the Medes Islands or the Three Caves. And enjoy a swim in crystal-clear water! Nemo: Discover the Medes Islands by fast boat. A new adventure on board Nemo, our brand-new fast boat. Thanks to her small size and great speed, you will follow the coastline of the Montgrí Massif and then enter the Caves in a totally novel way. The Medes islands are the jewel in the crown of the Estartit area. This small archipelago, which has been declared a Protected National Nature Park and Marine Reserve, is home to an incredible ecosystem, which you can enjoy on board our glass-bottom Nautilus boats. As well as our boat trips, there are many other activities to try in Estartit and the Medes Islands. Rent our boats for parties and birthdays, discover our themed days such as the Pirate Party or join a trip to the Montgrí Massif. *Ask about special rates for agencies and schools.